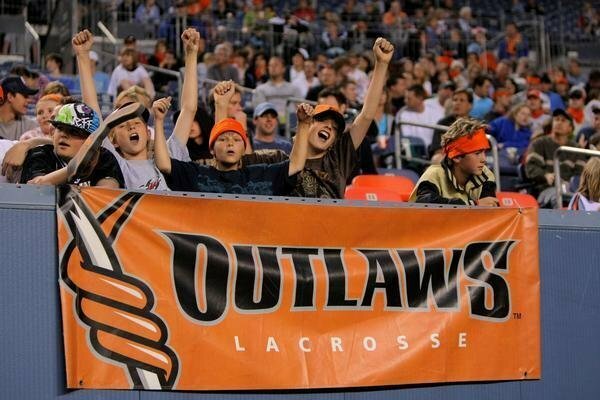 Stapleton Moms: Top reasons to go to a Denver Outlaws game - and a ticket giveaway! Top reasons to go to a Denver Outlaws game - and a ticket giveaway! 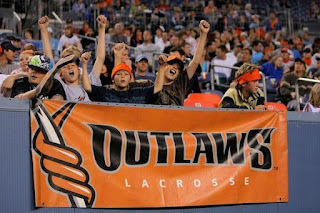 How's this for a fun family night out: a Denver Outlaws professional lacrosse game at Mile High Stadium! 10. Lacrosse is the hottest kid sport around. To all you east coast parents wondering what the fuss is about, lacrosse was basically unheard of in these parts until now. It's the new soccer, it's hockey with attitude. 8. The game is FUN! Action packed, always moving, a lot of hitting, a lot of scoring. 7. Your kids will get on the Jumbotron at least once. 6. The dancers. I want to know who their hairdresser is. 5. My boy kept track of the score the entire game. We won 15-6! 4. It's the kind of game where the family of one of the team stars is sitting behind you, cheering for their boy. 3. The fans bring their lacrosse sticks to the game. 2. Not only will you kids be totally engaged the entire game, they will fall asleep on the way home! SCORE! 1. 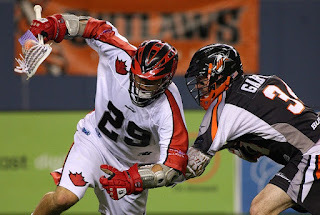 You can win a family 4-pack of tickets to the game on Saturday, May 19, against the Boston Cannons! Just like this post on Facebook! Or leave a comment here - just make sure I can reach you if you win! My son, at age 6, already has the Lacrosse "bug" and we would love to take him to a game. He has such a passion that he has even convinced his twin sister to try her hand at the sport. Since it looks like we might be on the road to becoming a lacrosse family, would be excited to win the giveaway! Hi my name is Cassie Boyd, and I do the hair for the Dance Team, thank you so much for the compliment!!!!! Congratulations to Andy Fisher! My son chose your number and you win the Family 4-pack of tickets to the Outlaws game on Saturday night! Contact me liz@stapletonmoms.com to get your tickets!